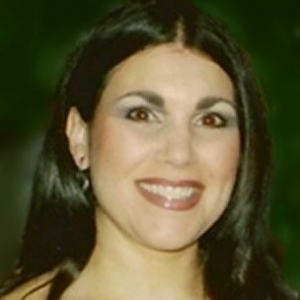 LAS VEGAS, NV --(OMNI LIMOUSINE)—Omni Limousine today announced that Lisa de Marigny has joined the company as President & CEO. de Marigny has extensive experience leading, innovating and scaling transportation companies. Most recently, she guided her previous company through critical transformation periods. Through her industry experience, de Marigny has frequently worked with McCarran International Airport, travel companies and major resort chains to provide personalized transportation solutions with a focus on premier customer service and passenger satisfaction. de Marigny comes to Omni Limousine after a successful twelve-year career as President & CEO of Showtime Tours, an airport shuttle and charter bus company. She moved to Las Vegas in 2002 from Brooklyn, NY. Prior to her work in the passenger travel sector, Lisa spent 21 years in the freight transportation business. She holds a B.S. in Organizational Leadership from Penn State University and a Dedicated Community Association Leader (DCAL) designation from Community Associations Institute (CAI). She serves on the board of directors of Young Presidents Organization (YPO) and is Treasurer of Carriage Lane Community Association. She is a President’s Club and Government Affairs committee member of the Las Vegas Metro Chamber of Commerce and 2012 Leadership Las Vegas graduate. de Marigny and her husband, Gerard, reside in Henderson, NV with their four sons. Since 2001, Omni Limousine has provided posh rides and personal chauffeur service for celebrities, corporate executives and leisure travelers. Omni Limousine offers elegant transportation options and customized rides at competitive prices, including sleek sedans, super-stretch limos, smooth SUVs and executive vans/buses. Please call us at 702 462 6600 for any special arrangements you might require. © 2017 Omni Limousine All Rights Reserved. Please expand the width/height of your window.